This series includes the tank, sump, stand and plumbing kit with Free Shipping to your home or office. 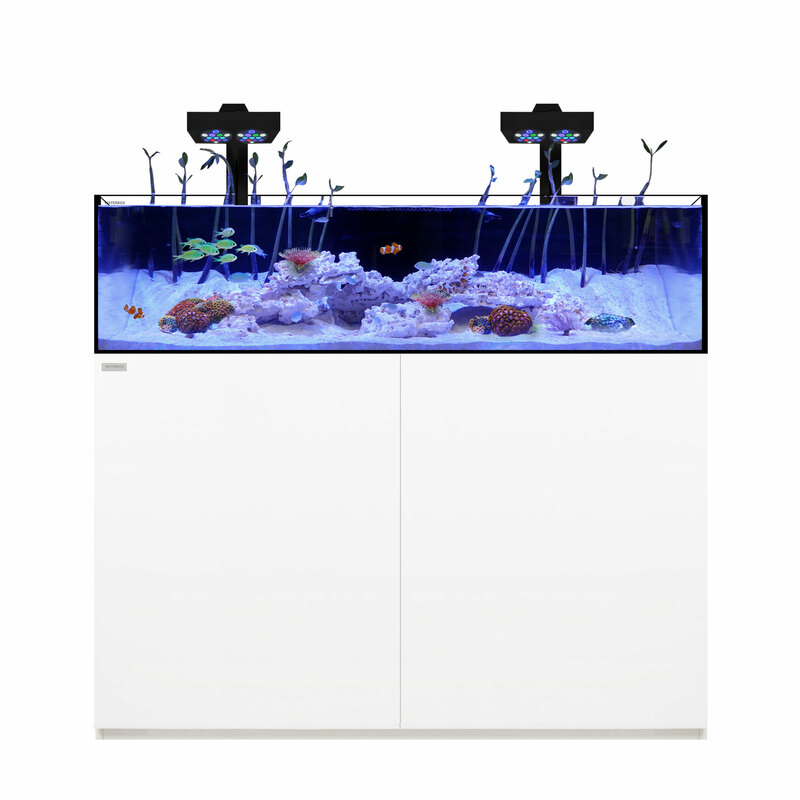 Aquatic Sealife is a Flagship retail distributor for Waterbox, so feel confident purchasing through us for full warranties on all purchases. This series includes some features that require simple plumbing connections and understanding of overflow filtration systems. The first number indicates the gallon capacity, followed by the length of the aquarium in feet. The Waterbox Platinum™ Frag series is designed for shallow reefs and aquaculture. The unique 12.4″ tank height provides easy access for maintenance and husbandry. This tank comes with the Sump, Stand and Plumbing kit...all you need is lighting and a return pump!